Blog to book success stories have been around for awhile. 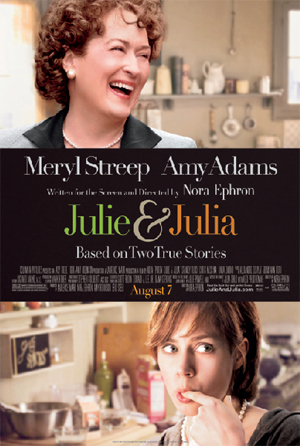 Now Julie & Julia has entered new territory – making a profitable transition from blog to book to movie. The first month’s box office receipts topped $70 million. Sales of Julie & Julia (the book – Amazon rank 90) were brisk and Julia Child’s Mastering the Art of French Cooking (Amazon rank 4) have sold more this past month than they did in entire years past. Celebrity – The blog involves a celebrity – in this case Julia Child. What made the whole thing interesting was that she would have the conversation with Julia Child (who was not supportive of the blog) as well as her readers. Drama – Julie Powell made herself the story; setting out her challenge in a very pubic way. And she had a definite deadline; there was no ambiguity about whether she would succeed or flop. That could be me! 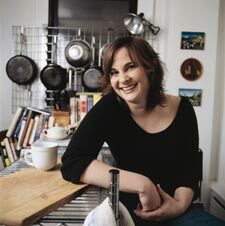 – Julie Powell took on the fears of EveryCook – preparing difficult recipes and sharing all her travails with her audience. Each day, her readers could empathize with her discouragements and celebrate her triumphs, but be glad they weren’t going through it themselves. In some respects, it was like reality TV. All the right elements for any good story. The blogging medium might be new, but the formula for success is age old. Bon appetit! This entry was posted in blog to book, blogs & writers, book marketing, open publishing, readership strategies and tagged blog to book, Julia Child, Julie & Julia, Julie Powell, Mastering the Art of French Cooking. Bookmark the permalink.